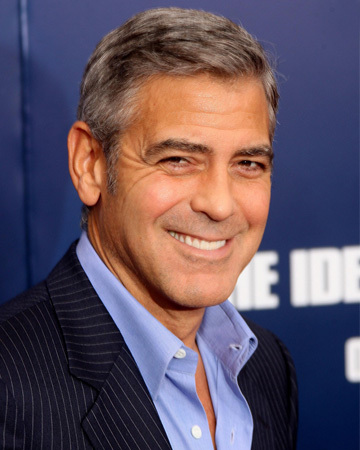 According to 213Nightlife.com, you’ll soon be able to purchase a little bit of Clooney… in tequila form. And really, if you can’t take in a long drink of Clooney himself, isn’t tequila the next best thing? While you’re waiting for Casamigos to hit the shelves, wet your whistle with one of these tequila cocktails, inspired by Clooney movie titles. After drinking this tequila-heavy version of the classic Long Island iced tea, you may need to head straight for bed. Add first six ingredients to a cocktail shaker with ice. Shake until cold. Pour into a glass over ice and top with cola. You’ll feel like you’re floating after a couple of these stiff top-shelf margaritas. Run the lime wedge around the rim of a glass. Dip rim in salt. Add first five ingredients to a cocktail shaker with ice. Shake until cold. Pour into a glass with salted rim over ice.